We are in the heart of Africa, in Rwanda. What did we expect? It’s not that we didn’t prepare before arriving - we had read everything we could find on the internet with brief descriptions of the places we were headed for. But, there’s no experience like your own. If you don’t see, if you don’t feel Rwanda, for yourself, all that remains is just a pale attempt of depicting reality. Driving from the Kigali Ariport to the Kivumu parish, where we would spend the next two weeks, we took in our first impressions, staring out through the windows of the car. 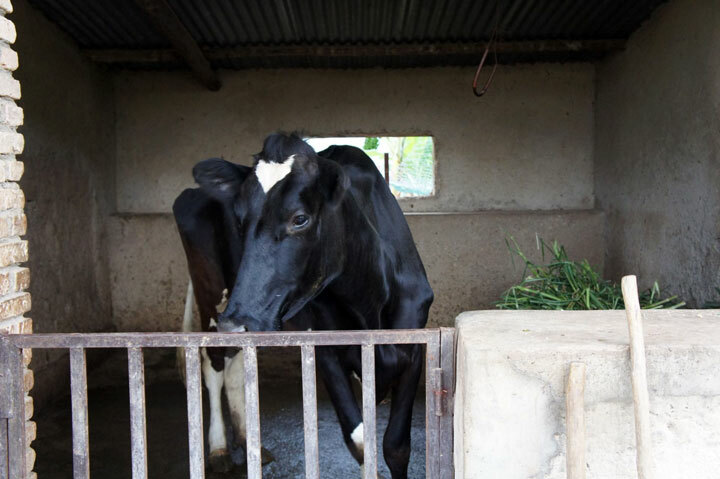 Even before our arrival we had read that Rwanda was a land of thousand hills, but we were nonetheless pleasantly surprised. We never imagined an endless greenness in the heartland of Africa. Every foot of red soil was cultivated. There are no big crop fields, or pastures, or meadows here, but only small agricultural surfaces lined one after the other or criss-crossed by banana trees. Except for Nyungwe, you could say that there are no real, big, dense forests, like the ones you can find in Croatia. The reason is a great need of arable surfaces, necessary to feed the eleven million inhabitants in a country that is half the size of Croatia. We don’t know if Rwanda stays this green at the peak of the dry season as well, because we arrived just at the end of the rainy and the start of the dry season. As for plants - people grow the same things that we find back home: cabbage, potatoes, bean pods (which here can grow several tens of centimetres), tomatoes, eggplant, onion, corn, sunflower, peas, carrots; but also many other kinds of vegetables that wouldn’t grow in Croatia: sugar cane, coffee, peanuts, rice, tea, millet, and all sorts of exotic fruits: papaya, avocado, Japanese plums, pineapple, the ever-present bananas, as well as many other things. There are different kinds of bananas with very different uses: for making beer and brandy, for consummation as fruit (which, for us, was so far the only form of consuming), and special sorts that are roasted and eaten in place of potatoes, and are very tasty. Keeping of domestic animals in larger numbers here is very rare. If they are able to, people keep cows or goats, a pig or two, and hens. Nonetheless, we were shocked to find out that eating meat for the large segment of the population is an extravagance that can be afforded maybe once a year! Nutritional habits are closely related to what is currently being grown! All vegetables are mostly eaten boiled, and none are processed for later use (by pickling, for example), except maybe for pili-pili, which is in fact chilli peppers chopped in tiny pieces and put in oil – a thing lovers of very hot and spicy food would like a lot. Fra Ivica even puts it in milk (?!). 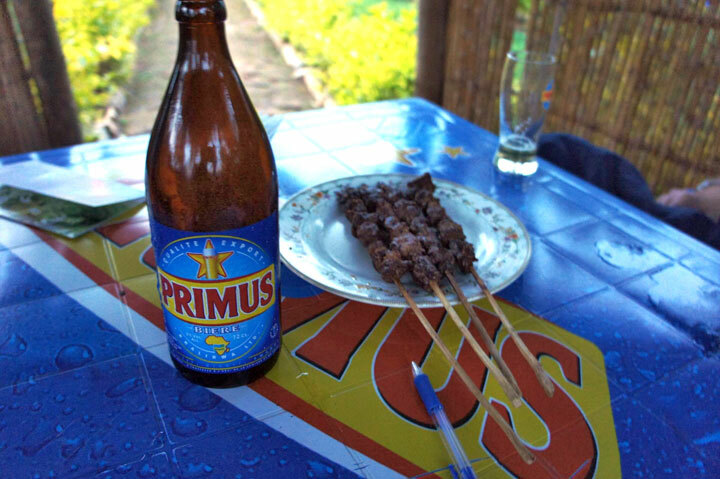 As for the meat products, we most liked the brochettes – spiced meat chunks grilled on a stick – although all the prepared meat is mostly tough, but when meat is not on your daily menu you just learn to ignore that little imperfection. 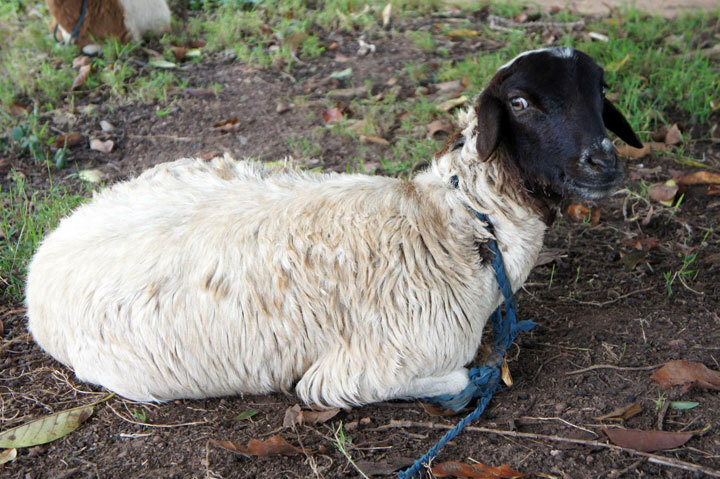 Rwandans don’t eat mutton. We didn’t succeed in finding out the reason. It is simply so, and it’s not open for discussion. In restaurants you can order all sorts of roast meat, including an entire roasted chicken. It can all be eaten without any side dishes, and with your hands, which is why it is a custom to wash your hands before and after the meal with soap and water in a special washbowl brought by the waiter. The food itself can sometimes take over an hour to be prepared. By the way, when we were departing for Rwanda, many of our friends and colleagues from work requested a small souvenir from Rwanda - a “fridge magnet” - that can be bought everywhere else in the world. It could perhaps contain a Rwandan motif or a map. However, we had to disappoint them, because in souvenir shops we couldn’t find anything like it. We suppose the reason is the fact that most of the population don’t even have electric power in their homes, let alone own a fridge. 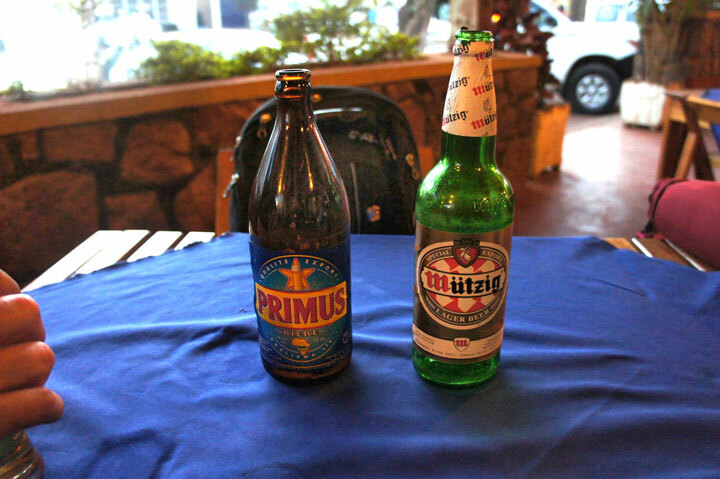 Beer lovers mostly find comfort drinking one of the two most popular beers – Primus and Mützig, sold in 65 centilitre bottles. In Rwanda, there is a special type of banana which people use to make beer or a gin-like drink called Waragi. Coca Cola is, of course, available and it tastes the same as anywhere else. Fanta Orange was, on the other hand, a total disappointment. 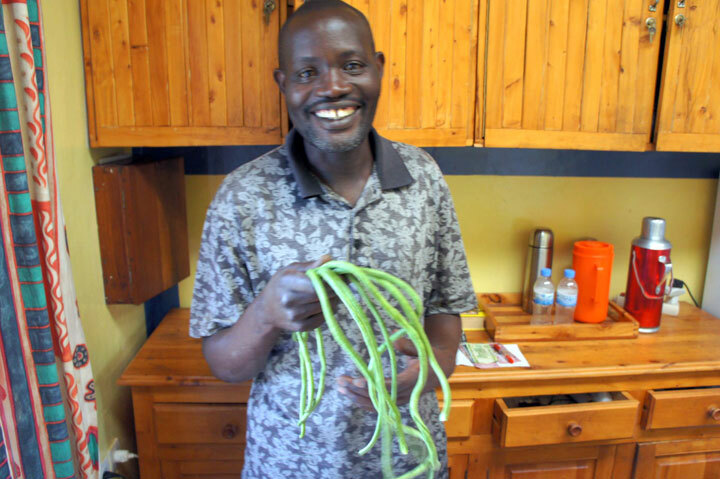 All in all, Rwandans eat very modestly, and although the food itself can be prepared in a very tasty way, Oswaldi, the cook of the Kivumu Friary, is the unchallenged maître de la cuisine.